Healthcare, just like any other field of knowledge, does not stay still. X-rays, anesthesia and antibiotics did not even exist centuries ago. These medicinal innovations seemed impossible and futuristic. It is hard to imagine our modern lives without these simple medical tools that saved lives to millions of people. Once considered impossible and fictional, nano-tech era is conquering the world. It affected the medical field as well. Nano technologies are no longer associated with science fiction and fantasy genre, it is becoming more real than 10 years ago. The development of nano technology contributed to the tangible impact on modern healthcare system. Nano-inventions will soon help people live longer, control and cure diseases. Nanobot is a robot or a chip that performs different tasks in accordance with its programming. Programmed nanobots should react in a certain way under the predicted conditions. The tiny size of a nanobot (about one billionth of a meter) allows it to make miracles. Rapid developments in the IT industry created the smallest processors for nanobots. The stronger the processor, the smarter and smaller the nanobot is. In the nearest future they will perform more tasks, such as affecting the cancerous cells, killing harmful germs and unclogging arteries in our bodies. Nano tech is able to treat diabetes. This technology was originally tested on laboratory mice. Nanobots release insulin in right amounts through its tiny holes, thus preventing pancreatic cells from escaping and white cells from entering. Tiny nanobots would float around your body releasing insulin. Your body would not fight against insulin as the size of the defensive cells would prevent them from entering and interfering with the process. Targeted nanoparticles would reach cancerous cells or tumors and deliver drugs that otherwise may be harmful to healthy tissues. Clinical trials have not yet achieved the right balance between the programmed actions of nanobots and their actual behavior. The technology needs some adjustments in order to prevent the bloodstream from carrying the particles to the liver while nanobots fail to release the drugs. Scientists from Massachusets Institute of Technology work on nanoparticle factories that create glowing proteins. Protein drugs are ineffective as the human body degrades them before they even have a chance to do their job. Nanobots are able to deliver proteins where they are needed in the body. Nanobots carry the bacterial extracts that cells use for creating proteins. It also contains the glowing DNA of a jellyfish visible to the ultraviolet.Â Successful experiments on mice encouraged scientists to head further in this direction. Soon enough nanobots would become a norm. They would cruise around our bodies and fight cancer and any tumor. Nanobots will have the potential to work with any cellular malfunction. They would deliver a chemotheraupetic drugs to the place in a body that needs it the most. 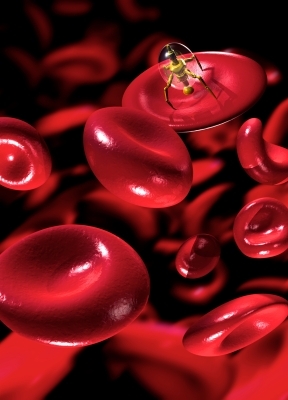 It would be easier to target almost any incurable disease with nanobotic technology. Its potential is difficult to underestimate. You never know, but your next visit to a doctor might include seeing a nano-doctor. Guest post by contributing author Richard O., representing Lemonade Diet.